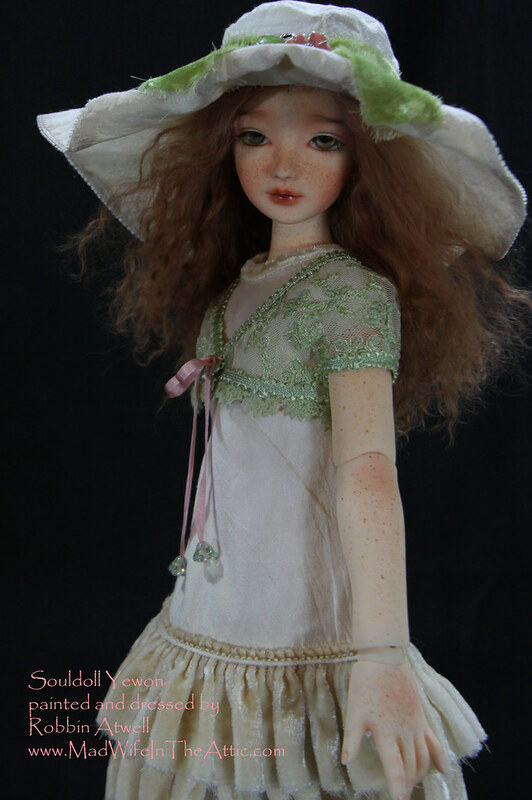 I loved her serene face and slight smile but I didn’t love her body sculpt. 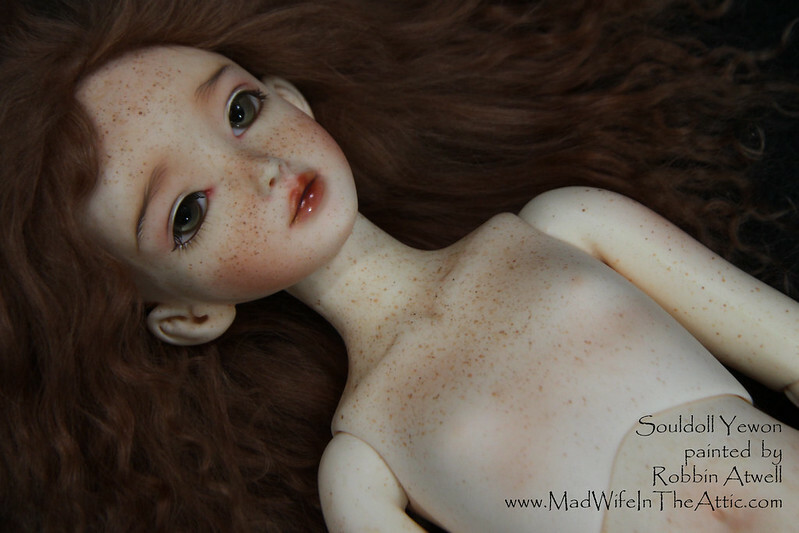 Lucky for me, I found a doll on the secondary market that had been modified by the talented Ravendolls. 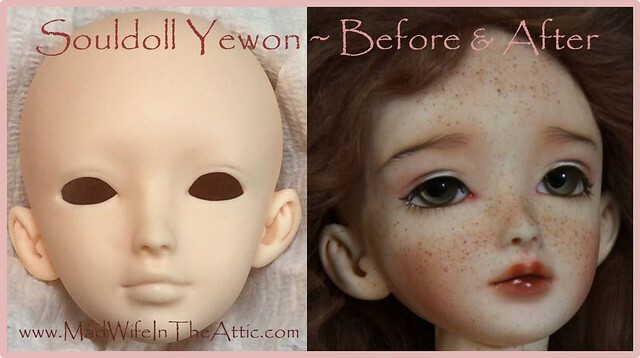 She reduced the bust that made the doll seem too voluptuous for the innocent face. Viola! She was perfect. 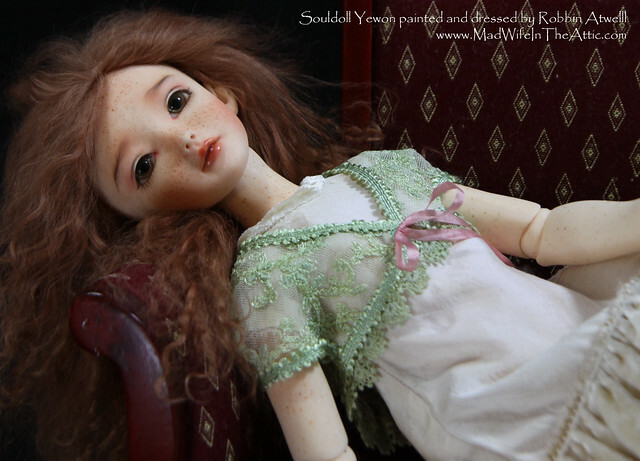 Find a nice bargain but there’s something about the doll that bugs you? Maybe some sandpaper and elbow grease are the answer. Yewon’s entire body is freckled. I love the effect, but what a chore! The secret of good freckles is blushing and sealing first, then making your freckles with a few different colors of paint. This photo series shows the progression. 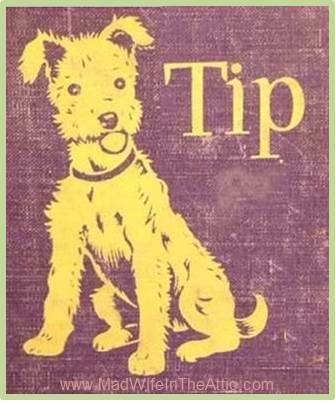 Freckle using a toothbrush — dip the brush in paint then flick the paint by rubbing your thumb across the bristles. Wipe away the messy ones with a cotton swab. Do this with more than one color. Blush a little more and spray with a final coat of sealant. 07 May	This entry was published on May 7, 2016 at 6:46 pm. 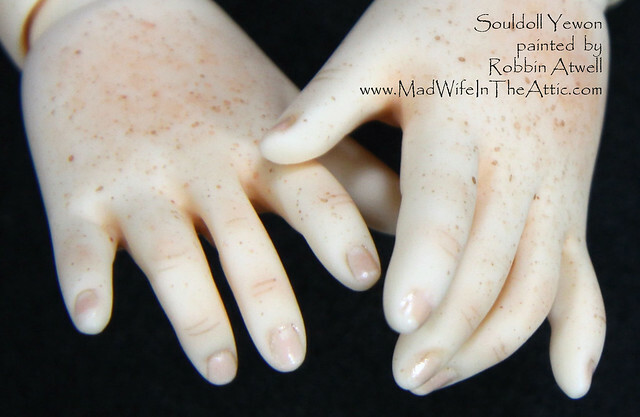 It’s filed under Ball Jointed Dolls, BJD Faceups, Doll Clothes, Modifications, Tips, Tutorial, Uncategorized and tagged ABJD, Ball Jointed Doll, BJD, Doll, Dolls, Faceup, MetroDolls, MSD, Painting, Ravendolls, Resin, Robbin Atwell, Souldoll, Tutorial, Yewon. Bookmark the permalink. Follow any comments here with the RSS feed for this post.